Busch Gardens Tampa- Bands, Brews and BBQ Concert Artists Update. Busch Gardens Tampa has announced this coming weekends artists for their "Bands, Brews and BBQ" event, taking place on weekends through March 9th. This coming weekends concerts look pretty good! 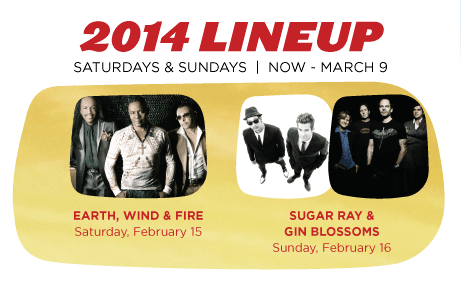 Sunday, February 16th- Sugar Ray and The Gin Blossoms.